At 6:30 AM, Aika hears yelling. It’s Itsuki and Seiya. Seiya is weirded out by Itsuki’s doting on Aika, but shuts up when the older man glares at him. 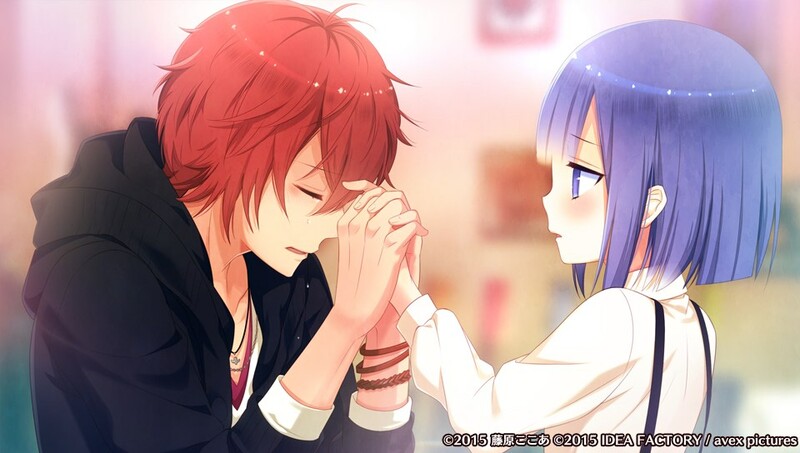 Switching subjects, Seiya is moved by Aika’s dedication; it makes him want to do his best, too. But he’ll do so much better she’ll look like a water flea in comparison. Aika has no idea what that means, but the three practice together. Aika goes to tell Seiya about the event. Seiya is raving in his own strange way about his latte art. Aika notes he really is good. He thinks she wants to try and pulls her toward him. She stumbles and they kiss. Both are embarrassed. Seiya is so flustered he can barely apologize in either Japanese or English. They both try to pass it off as just an accident. Seiya adds he’s never looked at Aika that way. Aika tries to hide her gender by saying, “We’re bros!! There’s no problem here! !” Seiya, flustered, agrees. Talking fast, he says it’s like that scene where someone eating bread collides with someone else. A “HAPPENING KISS” is quite frequent, right? Then he mumbles he’s never actually seen someone running late with bread in their mouth… Aika doesn’t know if he’s serious. Aika tells him about the event. She remarks how his image has changed since he’s been holding back. Beaming, he praises himself on his success. But he’s looking forward to the event. Aika goes back to work. Later that day, she decides to see Seiya. He wonders if she went to see a rival. No, just an ordinary friend. Seiya insists friends should be rivals. Aika is still trying to figure out his crazy ideas. When he insists they should practice together because they’re in the “same PARTY”, Aika finally asks about his Japanese. He looks crushed and then hesitant to answer Aika’s question. She doesn’t press him further but suggests they work on his vocab. He smiles happily, feeling like this is the first time they’ve talked to each other as members. 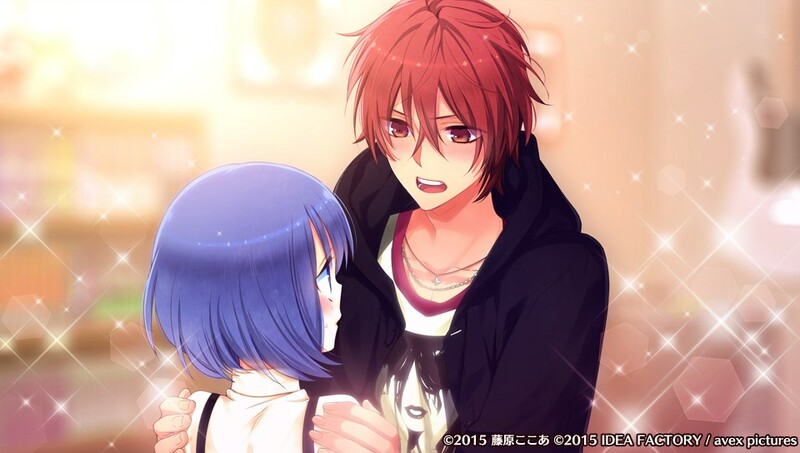 He blushes under the guise of “friendship”, but Aika worries he caught a cold. After the Seiya incident, she heads to look for Seiya in the washroom. Seiya is cursing himself, then freaks out when Aika appears. He hasn’t calmed down at all. He talks about the flood of comments and how negative words can really hurt. However, kindness is even more painful in times like these when he can’t find a way to apologize. He wants to change and become the kind of idol who is loved by fans. Someday he’ll repay everyone. She’ll help him. Aika remarks Seiya really loves Re;Rise. Seiya adds that since she believes in him, then he’ll believe in her. He shakes her hand because, according to him, it’s the sign of friendship. Seiya then stares at her, remarking Aika has slender fingers for a guy. Aika quickly pulls her hand away, stammering she’s got a complex about it. At the cafe, Aika goes to help Seiya finish up in the kitchen. Seiya is happy and pulls her so hard they have another accidental kiss. Aika apologizes, but Seiya firmly tells her to knock off the EXCUSES. He appreciates her feelings, but he doesn’t see her that way, so they can’t kiss. When Aika finally gets a chance to talk, she firmly states it was an accident and they’re bros. He realizes she’s only in women’s clothes because of Tsubasa and hasn’t actually become one. They both agree just to chalk the incident up to BAD TIMING. Switching subjects, Aika remarks Seiya loves music and Re;Rise. “Y-You don’t? !” She thinks for a moment before saying she’d like to see Re;Rise be loved more. Seiya agrees; he really likes this group and wants to be closer to everyone. Seiya adds she’s their esteemed leader, and they’ll be allies no matter what. Aika hesitantly nods before leaving. In the cafe, Aika notes Seiya really believes in her brother, making her chest squeeze. A couple of fans compliment Aika on the event and how they’ll support Re;Rise. Aika is pleased, but the others notice she’s not her usual self. In the living room, Seiya is chatting with Aika, who is rather quiet. He then thinks Aika wants to write on Seiya’s blog. She doesn’t know what he’s talking about. Seeing his excited face, Aika agrees to check out the blog. She wants to make sure there’s nothing there that would upset Yonezawa. She reads several of his blog entries. They’re all written in his weird Japanese and sound a bit like lyrics, but the contents also shock Aika. He calls his fans “omaera” (kind of impolite), but mostly she doesn’t understand what Seiya is trying to say. There’s also a lot of strange comments. Aika remembers how proudly he talked about his blog and hates the thought of taking it away, but this is just a powderkeg. Aika gives her honest opinion about the blog. She starts to suggest the blog be stopped, but Seiya throws a tantrum like a child (“you stupidhead!”) and runs out. The blog then is updated with a new post entitled “Phony”. So-called “allies” are liars, fakes. I won’t believe in anyone anymore. Everyone in the world has become my enemy. Call down the melodious thunder of revenge! All of you best prepare yourselves! The comments start coming in. “Don’t understand.” “He’s so drunk I have to laugh.” “How does someone turn on his fans?” Plus more negative reactions. Aika knows she has to do something since she was the cause of this. She brings up the blog, and Seiya retorts he got a lot of encouraging comments. He composes a response starting with “I don’t need your support”, but Aika jumps on Seiya and manages to delete it. Aika firmly tells him all posts must be approved by her or Yonezawa before submission. He cries out like a little kid again (“you blockhead!”) before running away. Aika still believes this is the best way to proceed. Over the next couple of days, Seiya hides out as he continues to post. Aika scolds him and tries to intercept his posts, but he always flees. She heads into the hallway, and Tsubasa snickers at her for playing tag with Seiya again. Aika won’t give up because she’s the leader. He scoffs and says to come with him, the emperor of darkness, when she’s done playing a child’s game…as his bride. He disappears, making Aika wonder if her gender has been exposed. Seiya has been hiding in Reo’s room. Seiya congratulates her like a midboss in a video game, but presents his new weapon: a tablet. Aika confiscates it as he curses. “Jesus!” Aika can’t believe he said that again, but he doesn’t know what else to say. Buddha? Amaterasu? Aika notes it almost sounds like Seiya wants to be Japanese. Reo is upset they’re raising a fuss in his room, but Seiya says it’s cute like Reo. Reo then kicks them both out nyan!! In her room, Aika is exhausted. She needs some help, so she decides to ask Nami. In girl’s clothes, she meets up with Nami. She’s surprised; she could have sworn she saw Aika go to the restroom just now. Anyways, Nami’s heard rumors Seiya was kicked out of his previous agency because of his blog. So that it doesn’t happen again, Nami suggests Aika talk to him. Aika realizes she’s been telling him to stop without explaining why. Nami also cautions Aika about protecting her secret. That night, “Aika” returns to the house. No one seems to be around. Then, the blog update sound rings. It’s another rude sounding one. She barges into his room. He can’t believe she entered his without knocking. Does she think she’s his childhood friend or something?! Seiya seems fidgety. Aika apologizes for not considering his feelings about his blog. She then realizes there’s a whole bunch of books on the floor, all manga. Seiya eventually admits he doesn’t hate her but was afraid of being labeled as an otaku. He’s surprised but happy she’s not making fun of him. He picked up his Japanese from manga since he’s from the U.S. He pushes the topic to the side to talk about manga. Aika asks about his blog’s goals. He wants make friends, otaku or not, and share his music. Whispering, he adds if he’s not alone, he’ll make better music. Aika asks what he means, but red-faced Seiya hands her a manga and pushes her out the door. Aika thinks about what just happened but notes Nami’s advice was correct. Aika has had some peaceful days now. She realizes there’s a lot she still doesn’t know about Seiya. As she ponders this, she hears an uptemo guitar. She enters the rehearsal room and finds Seiya. She asks about the composition he was playing. He proudly proclaims it’s his song and adds he wrote it. He’s blushing but tries to demand more compliments. Aika says he is a cool idol. Seiya is incredibly happy. Aika is stunned by his smile. He admits he’s never been complimented by a friend before. Then he suggests Aika sing while he plays the guitar. They perform together and agree to rehearse together again. Seiya then goes on about how she’s really kind and he’s glad Aika is the leader. Seiya gets close to Aika to give her some pointers. Even though he backs up a bit, he still stares at her. “You know, aren’t you kind of frail? 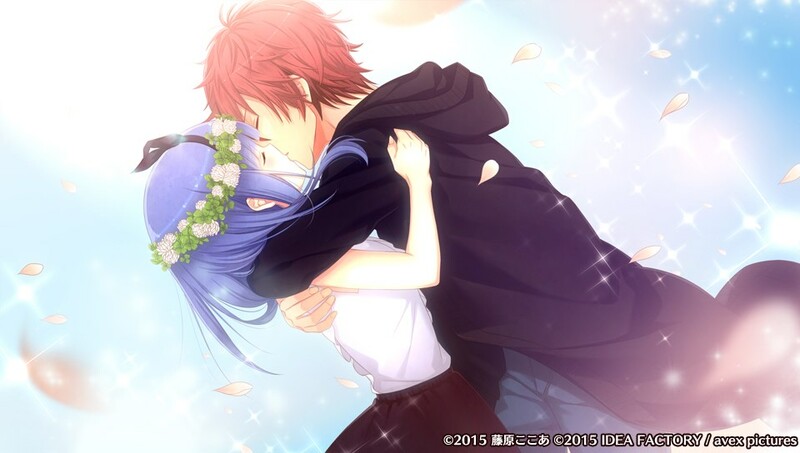 And you smell good, too.” Aika pushes him away, and Seiya realizes no guy would like to hear that. He knows he’s acting strange, but… Aika remembers Nami’s warning. They’re getting along better, but Aika knows she can’t get too close to Seiya. Over the next couple of days, Seiya keeps acting strangely, staring at Aika, blushing, and muttering under his breath. Does he suspect? 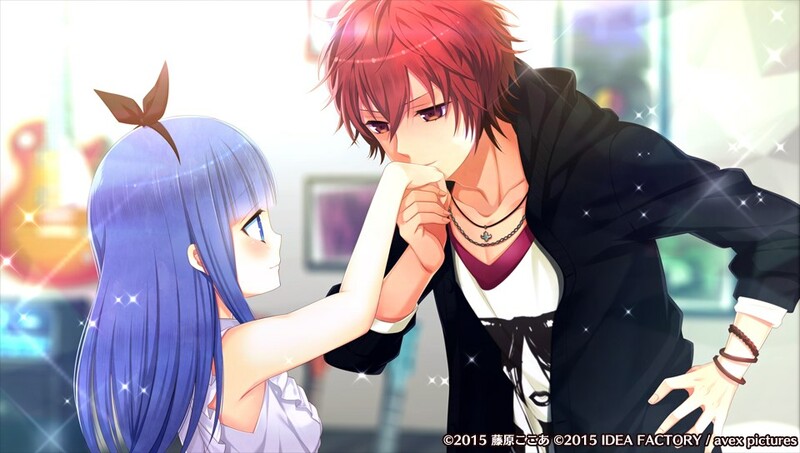 Aika notices Seiya’s behavior but doesn’t want anything to jeopardize Manaka’s return. Seiya’s latest post is about an offer from a music festival. It sounds haughty as usual. Yonezawa isn’t happy about Seiya immediately posting about the offer online. Yonezawa sighs and muses Seiya’s career might be over now. Seiya expects Aika to tell him to stop the blog as well. Instead, she begs he be allowed to continue to post but with her supervision. 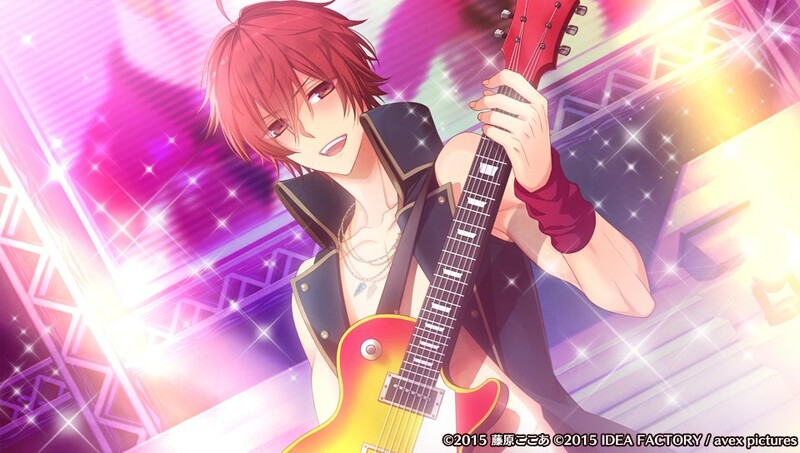 Yonezawa agrees, and Seiya is so happy he strums a new melody on his guitar. Yonezawa whispers it’s a good tune. But he has to go apologize now and puts Aika in charge of Seiya. He also whispers he doesn’t know when the “real” Aika-kun will return but still thinks he will. Aika then turns to Seiya, saying the manager left to deal with his mess. Seiya insists he meant to say he was happy and wants to pump everyone up. He’s taking a lot of inspiration from manga and doesn’t get the posts are being misunderstood. He’s shocked when Aika explains what his posts actually mean. She believes he can make friends and be loved more if the blog’s presentation is changed. Seiya is so touched he grabs her hand. Aika panics; she pushes him away and declares she’s a guy. He knows! His face reddens again as he mutters about “what’s this feeling? !” He then goes full-blown tsundere, looking sad when Aika is about to leave but insists he doesn’t care, idiot! Aika invites him to talk about his blog anytime and leaves as Seiya calls out to her. In the hallway, she thinks she heard Seiya cry out to wait and wonders if she should go back. Suddenly, Tsubasa appears to talk about females’ auras, demons, etc. Aika doesn’t know what he means. Haughty, he adds he wouldn’t mind seeing Aika’s crying face. She think he needs some rest (too much crazy talk) and goes to leave. He grabs her, noting her special smell. Seiya suddenly calls out Aika’s name and demands to know what Tsubasa is up to. Tsubasa is like, “Seduction, duh, kid.” Seiya declares he won’t let Tsubasa approach Aika. Tsubasa is interested but had his fill earlier during his photo shoot. Seiya doesn’t understand Tsubasa but declares he’s serious. Tsubasa accepts his challenge. Before disappearing, Tsubasa adds that “Amane Aika” is welcome as his slave. The way he said her name makes Aika suspect he knows the truth. She spaces out, but Seiya cries out, “I can’t hold back anymore!” and drags Aika to his room. Aika wonders why he brought her here. He doesn’t want Tsubasa to steal her. Aika realizes this isn’t a normal guy relationship and thinks Tsubasa’s words made Seiya realize the truth. Seiya confesses he thought Aika was too strict at first, but Aika has helped him out so many times and complimented him. He was so happy to have a normal friend. But he can’t lie to himself anymore. 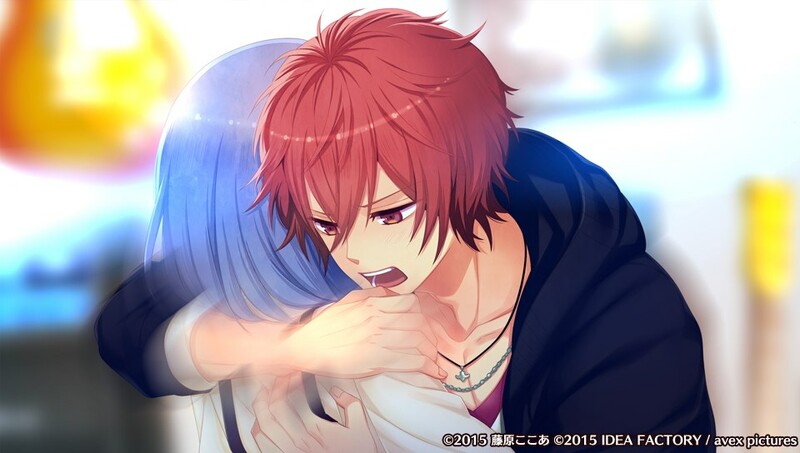 “I love you!” Aika realizes Seiya knows, but he continues: “Even though I know you’re a guy!” Aika is stunned but pushes him away, saying this must be a joke. Seiya knows this isn’t normal, but he can’t help it; he loves Aika. 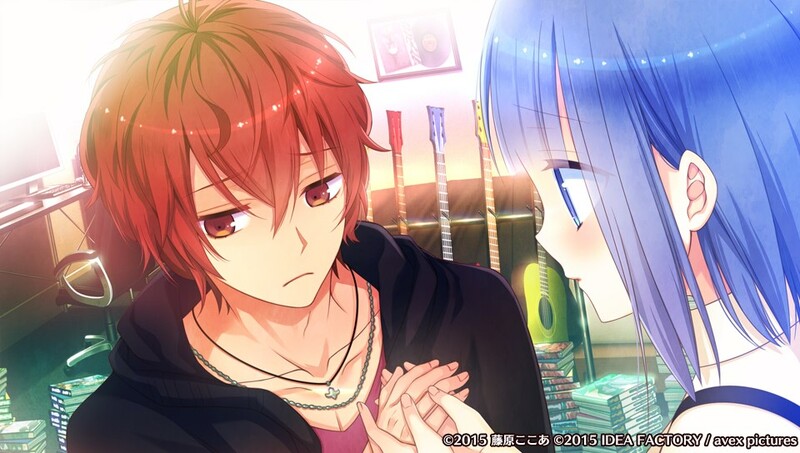 Aika tries to process the situation as Seiya continues his confession. She tries to talk her way out, but he insists these are his true feelings. When she is about to speak, Seiya stumbles over his words, begging for an answer. Aika feels like she has no choice but to turn him down, and he slumps to the floor. Seiya realizes Aika thinks he’s confusing love with friendship since he hasn’t had many friends before. He gets angry, but then decides to test his feelings with a kiss. If they’re bros, then he won’t like it, but if he does… Aika is unsure but eventually agrees. Afterwards, Seiya declares he’s fallen even more in love with Aika and won’t give up. Even if she was an alien he’d love her. In her room, Aika can’t believe what just happened. But his feelings will surely stop once he meets more people. Because, unlike her, he’s a “real idol”. Aika still wants to treat Seiya normally. 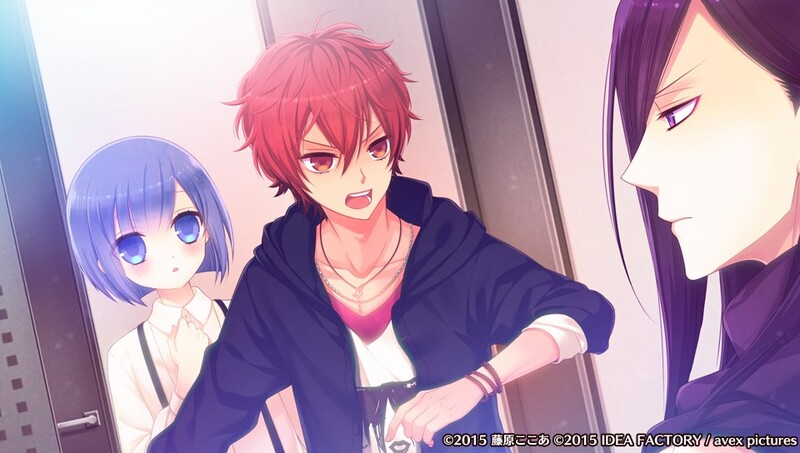 Seiya wants to eat BREAKFAST with Aika, but Itsuki and Tsubasa won’t let them be alone. After breakfast, Aika heads off to lessons, but then Seiya eagerly asks if they can go together. She agrees, then he talks in his weird way about capturing her HEART. Then he asks if Aika fell in love with him. The look on his face makes Aika’s heart hurt. He doesn’t wait for an answer. Instead, he’ll keep on confessing to her. So look forward to it! Seiya volunteers to go with Aika shopping for dinner. He’ll protect her. Because he loves her and wants to be loved by her. Aika still hopes he’ll open his eyes about them being just friends. The next day, Seiya visits Aika in her room. He wonders if she cleaned it recently (because it’s empty). He worries he’s offended her somehow and tries another Seiya-like pass at her. She appreciates his concern, but he’s depressed she doesn’t like him. “What are you talking about? Whether as a group member or as an idol, I like you, you know?” Aika can’t believe what she just said. Seiya gets really excited and considers it a confession. They should go out now! Aika protests, but then Seiya switches subjects. He’s not sure how to say it in Japanese, but he wants to MAKE TIME (go on a date) with her. Aika replies they spent time together yesterday. Frustrated, he says he won’t give up and leaves. Aika goes to visit Seiya in his room. He’s concentrating so hard on writing compositions that he doesn’t notice her. The songs are in all kinds of different genres. He suddenly stands up and praises himself, but he falls over in surprise when he sees Aika. He goes in tsundere mode, but Aika remarks he must be a genius. He’s so flattered and says he has more confidence now. This surprises Aika. Seiya snaps her out of her thoughts when he says he’s happy Aika came to visit his room. She came to see if he wanted to go out with her, but he’s busy. Seiya quickly insists on going with her. Seeing his happy expression makes Aika feel bad. She thinks to herself since “Amane Aika” doesn’t exist, so she shouldn’t take his confession seriously. Aika is still wallowing in her thoughts as the pair stop off at a park. Seiya then suddenly closes the gap between him and beams as he mentions how happy he is to spend time with her. Aika replies they can go out like this anytime, but she knows her time as “Aika” will someday end. As they go to sit down, Seiya suddenly remarks Aika looks like a woman. In fact, ever since the destined meeting with Itsuki, Aika has been different from usual. Aika’s heart starts to soar, feeling like someone has noticed her and not “Aika”. She says it’s time to go back, but Seiya suddenly tells her he loves her. When she rejects him, he sulks but won’t give up! His joyous expression makes Aika smile, too. Suddenly, a couple of girls recognize Seiya and want to take a different route home. They think Seiya is the type of person who is full of himself. Aika tries to run after them to protest, but he stops her. He knows they can’t cause trouble. The pair returns. Aika wonders how to clear up the misunderstandings as Itsuki and Tsubasa meet them outside. The two snipe, and Seiya is jealous of how close they are. (They claim they’re just rivals.) The two still want Seiya to stop hanging around Aika so much, but they do agree to see how Seiya performs at the music festival. Aika hopes Seiya will gain more confidence. Later, Aika discusses improving Seiya’s Japanese with Yonezawa for the sake of his blog and interviews. Yonezawa sighs; it would also be nice if Seiya was more honest. Aika think he already is. She doesn’t tell Yonezawa about Seiya’s confessions. Yonezawa still doesn’t know where Manaka is. Seiya is working in the rehearsal room, concentrating hard on the song from earlier. It’s his solo song. 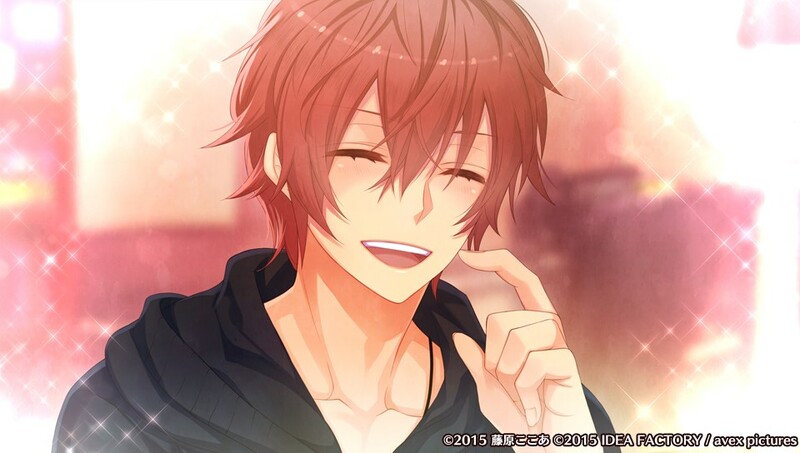 Aika compliments him, and he smiles like a child again. Her heart hurts again. Seiya gets serious and talks about how he wants to do his best for Re;Rise. 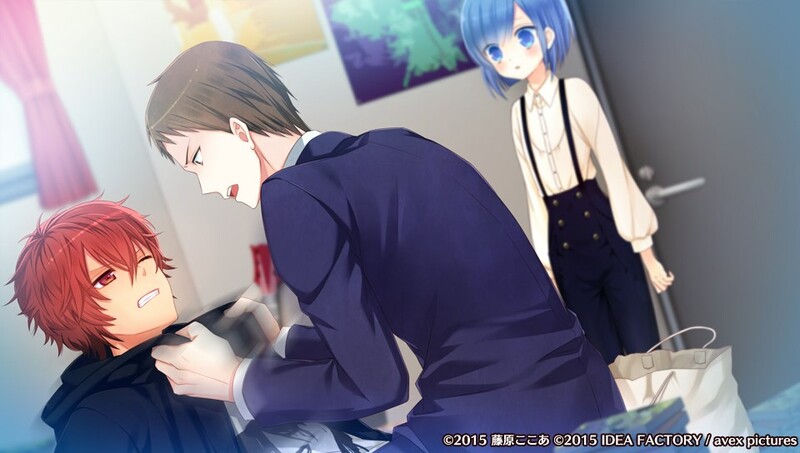 He finally realizes the blog is how he can mature like Itsuki and Tsubasa. Aika wants to support him until Manaka returns. That night, Aika’s phone rings at 3 AM. Nami, panicking, asks where she’s at. She watched a program about the music festival today since she read about it on Seiya’s blog. But “Kagura Mitsuke” was the name plastered on the news. It looked like Aika was with this Kagura person. She was worried Aika got dragged into something again. After she hangs up, Aika wonders if Nami was really mistaken. She briefly thinks it might be Manaka but dismisses the idea. Over the next couple of days, Aika works with Seiya on his blog. At first, the comments make fun of him, but the next receives some positive feedback. He’s working on more compositions and proposes another blog post. It’s not rude but a bit confusing. He explains someday he’d like to perform at a large venue with an orchestra. He revises his post to something that actually sounds like fairly typical Japanese. He posts, and his visitors note it sounds too normal (both in content and tone). But there are also comments supporting Seiya. Aika goes to the rehearsal room. Reo and Ruka admit they check the blog. 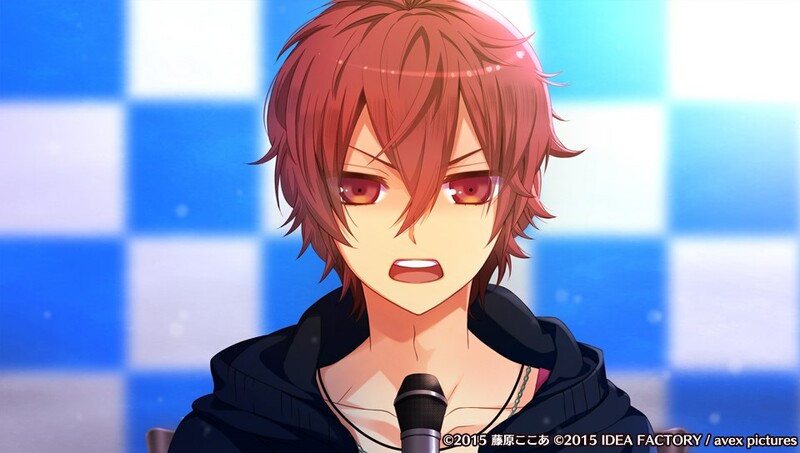 Reo thinks it’s good but notes Seiya, as a pro, has to face both his fans and his haters. Seiya is so impressed with Reo’s advice he pets him. Aika is about to take a picture of the guys for Seiya’s blog, but Yonezawa bursts in. There’s trouble. In Seiya’s room, Yonezawa shows Seiya a post about how ridiculous Seiya’s dream is because he can’t write a full score for an orchestra and how he’s a fraud. Aika is wondering why Seiya is getting in trouble, but Yonezawa is upset by the content, saying Seiya should be getting mad. After all, Seiya graduated from Juniord [Note: fictional version of Juilliard] in New York and even skipped a grade, so he can easily write a full score. Seiya has been avoiding his gaze. Yonezawa wants to have a press conference about this; Aika agrees. Seiya quietly rejects the offer and then throws a full tantrum. He doesn’t need to deal with people like that, and, in fact, he doesn’t need fans! He’s fine on his own. He only needs music. Music won’t betray him like words do. Aika is taken aback and is unsure what he means. Suddenly, Yonezawa yells at Seiya to knock it off. Aika is shocked. Yonezawa shouts he’s only Re;Rise’s manager because of Seiya’s songs. He even left Avex to chase after Seiya because he loved Seiya’s songs. Aika finally gets Yonezawa to stop. Under control, the manager talks about how his parents and his sister died a year ago and was in complete despair until he met Seiya and heard his music. Yonezawa was saved by Seiya’s music, so he wants to share it with the world. Even though Seiya has been moody, he could put up with it. Yonezawa thought the blog would cause Seiya to write more normally (and openly), but it was as if Seiya hated people. Seiya stutters. Aika agrees with Yonezawa. Formally learning Japanese will help to clear up all the misunderstandings. She wants him to shine more, to be loved. So why doesn’t he try to speak to people normally? Crying, Seiya finally says he’s scared. Scared of rejection, scared of being disliked, scared of being hated, and if Aika wasn’t here, he’d be scared of drowning in despair. So basically, he decided to hate others before being hated. Aika yells at him: why did he become an idol if he wants to be alone? She remembers how he said he wanted to be a part of Re;Rise, to be with everyone. She continues her lecture, saying love is a part of an idol’s job. She adds she’d be lonely without him. Aika and Yonezawa will support him, but he has to be more open. There are a lot of people who already like him. Yonezawa begs Seiya to have more faith in himself. With a final push from Aika, Seiya starts sobbing. He wants to respond to everyone’s feelings. He’ll try his best, but only if they other two support him. They will. The agency sends out a fax with Seiya’s graduation information, putting the rumors to rest. He’s been working hard. Aika reports to Yonezawa Seiya still has a fever for the third day. Yonezawa thanks Aika for all she’s done. He’s been considering calling the police about Manaka’s disappearance. But for now, they’ll concentrate on the revenge live. Aika thinks about how she told Seiya they’ll work together but how they’ll only be together for a couple more weeks. Aika decides to buy Seiya something sweet, so she heads to the cafe. Ruka is running away from a girl trying to get his attention. Aika realizes it’s Manaka. Manaka runs away. Aika chases after him but loses sight of her brother. She wonders if the girl Nami saw was really her brother. But why did he approach Ruka and not her? Aika then gets a text from Manaka. He apologizes but says he can’t say anything yet. In her room, Aika tries to make sense of the situation. Seiya came down with a fever but recovers after four days. He asks if she can rehearse alone today. She spaces out thinking about her brother but agrees. He insists she absolutely cannot leave the room until he comes back. Meanwhile, Seiya smiles. This time he’ll surely capture Aika’s heart! He heads to the living room. Seiya begs the guys to help him think of a good present for someone he wants to date (BEFORE LOVER). Ruka wants to know what kind of person Seiya is interested in. Seiya replies something like, “The kind I l-love.” Seiya tells them he’s been turned down many times, so Itsuki recommends taking the girl to a place where they can be alone. 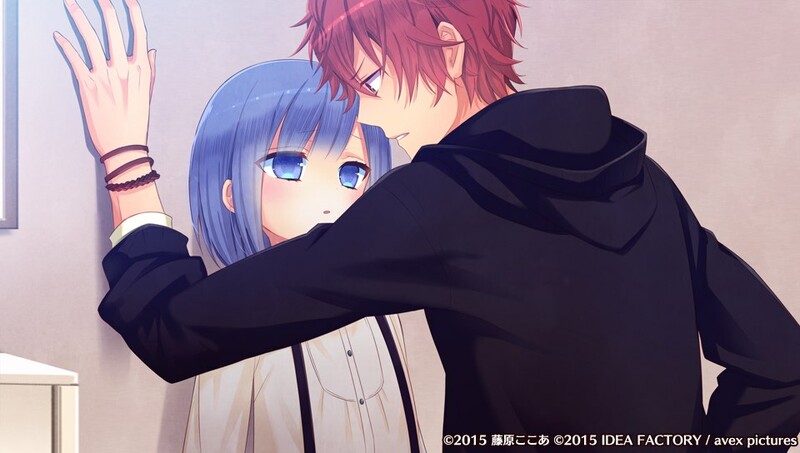 Reo whispers to himself, “I see, the person is a girl…” while Ruka pales. Reo suggests flowers. Seiya mutters to himself about how it’d be a ring if this was a manga. Itsuki reports Ruka has fled in fear since the conversation was about a girl, but Seiya curses and says it isn’t like that. Reo’s eyes go big; the other party isn’t a girl? Seiya stammers. Itsuki tells Reo to drop the subject and encourages Seiya. Seiya thanks the two. Seiya decides Aika will be the most surprised if the flowers are in her room. He is tempted to go through Aika’s stuff but stops himself with one of his Seiya-isms. He then sees a picture frame but doesn’t look. He continues smiling as he thinks about how happy Aika will be. Then Seiya starts wondering if it’s weird for a guy to give another guy flowers. In the midst of preparing, he knocks down the frame. Hm? There’s another picture here? Seiya screams in surprise. Meanwhile, Aika notes Seiya has been gone for quite a while. Tsubasa appears. The others had locked him out so he came here. He insists he’s not sulking, but Aika knows he really is. She had been practicing to Seiya’s solo, but Tsubasa says to look at him. Aika thinks he’s going to demonstrate for her, so he decides to do so anyway. Aika practices, and Tsubasa says it wasn’t bad. However… He grabs her and tells her her breathing is still off. Aika has been so flustered with her interactions with Seiya that she doesn’t know how to interact with guy friends normally. She tries to correct her mistakes in posture. “You…really do have a delicious scent.” Tsubasa grins. He goes on about how he’s going to steal her lips, turn pain into pleasure, etc. Aika pushes him away. He replies this is compensation for seeing him rehearsal. He’s not interested in any other forms of payback; he just wants her. And perhaps her “voice” is what he’s been searching for. Insisting she’s not a girl, Aika leaves. Eventually, Aika enters her room. It’s adorned with flowers. Seiya is there. 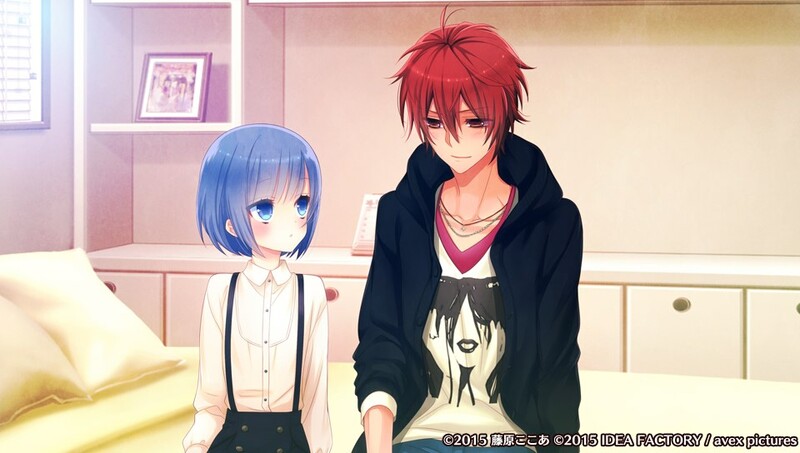 He has a picture Aika took with Manaka just before he entered Re;Rise. He angrily demands to know who this is, who she is. Seiya saw the names written on the picture: Aika and Manaka but not “Aika”. In a sad but angry tone, he talks about how he planned this huge surprise with everyone’s help. Even though he thought it might seem weird to give a guy flowers, he wanted to give flowers to the one he loves. He kept thinking about the reaction he’d get, and perhaps finally have a requited love. When Seiya decided to look at the picture, if there was someone else, then he’d give up. However, both people look like the “Amane Aika” he knows. Aika panics. He repeats his question: “Just who are you?” He demands an answer. She finally confesses everything and apologizes, but he gets angry again: “Then why did you turn down my confession by saying we’re bros? !” Aika can’t believe that is what he’s upset about. He admits he’s mad at himself for being a lousy group member and not noticing the switch, but seeing her help everyone and shine on stage makes her worthy of being an idol and their leader. It doesn’t explain the “we’re bros” rejections. He spilt all his secrets and was serious every time he confessed, so she should at least tell him what she really thinks of him. Aika is surprised the confessions were sincere. He believes she was taking him lightly, and Aika cannot object. He calls her a “dummy leader” and leaves. She’s never seen such a cold expression on his face. It’s been three days now. Seiya hasn’t told anyone, and she hasn’t told Yonezawa. She has to talk to Seiya. There’s only one week until the revenge live. Seiya calls Aika “Amane-san” and quickly leaves to do some composing. Reo hears and comes out and tells Aika to leave Seiya alone for a while. Seiya is making a song to console the girl he loves. Aika is shocked as Reo continues. Yesterday, Seiya cheerfully told Reo his growth was due to this girl, so he wants to convey his thanks. She later runs into Ruka and then later Itsuki. Ruka says she’s necessary for Seiya and then leaves. Itsuki deduces Seiya found out Aika is a girl and offers his help. Aika first decides to ask Yonezawa about Seiya’s whereabouts but needs to face Seiya alone. Yonezawa hasn’t seen Seiya. She confesses Seiya has found out the truth, but he doesn’t react. Actually, he’s surprised the deception has gone on this long. In addition, Manaka came by and said he won’t return as “Aika” and will probably debut under a different name. The manger hopes Aika will continue as “Aika” since she’s necessary as their leader. Manaka will contact her after the live, and the choice will be hers. Yonezawa will also search for Seiya. Aika wanders around as she thinks about the situation. In the park, Tsubasa appears. He was searching for her by her scent. She asks about Seiya. Tsubasa has heard Seiya’s thoughts through the darkness in his heart. One was about how it might be better not to get close to anyone to avoid getting hurt. Tsubasa notes her heart is also lost and full of doubt. But he as the lord of darkness can save her. He gets close to her again. He’ll give her a world of nothingness to free both Seiya and her from pain. Aika rejects him. But Tsubasa will have her at his side as his bride. Suddenly, Seiya’s voice rings out and he pulls Tsubasa off of Aika. He demands Tsubasa tell him what he meant by “bride”. Tsubasa replies stealing her will save the two of them since they’ll have no worries. Seiya instructs Tsubasa to not touch Aika, and the two start fighting. Aika tries to break them up, but both tell her to stay out of it and is held back by Tsubasa’s magic. The two exchange blows as Seiya cries out he doesn’t want to be an adult like Tsubasa. Aika hears a familiar click. Tsubasa teleports around Seiya’s blows. Aika eventually calls Yonezawa and Itsuki to stop the fight. The next day, reports of Seiya fighting appear on the news. The clicks were from a camera. This is all her fault. Aika goes to Seiya’s room to check on his health. Tsubasa said he was going easy, but is Seiya hurt? Before he can answer, Tsubasa and Yonezawa enter. Aika tries to take the blame, but Yonezawa isn’t angry. Seiya, practically in tears, wants to know why they aren’t blaming him. Tsubasa chimes in and adds the reason Seiya is a fool is because he has regrets. Why do it in the first place if you are going to regret it? They leave. The news reports of the fight Seiya was in (Tsubasa wasn’t captured on camera). The commentator basically says Seiya is problematic. Seiya apologizes to Aika, saying the TV is right. He’s near tears again. It’s all because he was afraid of people. He talks about how excited he was to get into Juniord. He thought he’d make a lot of friends who also loved music. But they made fun of him, and so he switched from classical music to being an idol. He talks about his feelings and how he hasn’t made progress. Aika basically says not to invalidate all his hard work. Seiya smiles. “You are so kind, ‘Aika’.” Seiya knows he can’t continue just doing whatever he wants. Crying, he says he wants to be more of an adult, the kind of cool man who can protect her. He calls her by her real name. He begs for her forgiveness, but Aika apologizes in return. Seiya says it’s alright, a big secret like that couldn’t be trusted to a child like him. Aika disagrees; she enjoyed all the time they spent together, so please smile like always. He can’t since surely she hates him. She replies Seiya is very important to her. He doesn’t believe her, so she decides to prove her feelings with a kiss. Sighing, he apologizes for being dependent on her. Aika wonders if the bond between them is truly severed. The two have been rehearsing separately. And one day, Seiya went to the agency alone. Aika is in the living room with the others as they find out there’s going to be a press conference about Seiya. The press conference begins. He formally apologizes in normal Japanese. The others are surprised. Itsuki adds he was shocked to see how well Seiya picked up on the language. Suddenly, Tsubasa comes in and remarks it’s nothing to be surprised about. Humans can change so suddenly. Seiya’s formal apology continues. Re;Rise checks out the web’s (mixed) comments but then go back to watching. Seiya is talking about how grateful he is to his fans. He then goes into one of his Seiya-isms, saying his feelings won’t disappear at midnight like the spell on Cinderella. He blushes, and the reporter laughs that formal speech (keigo) is still not Seiya’s forte. Reo sighs. The comments are mostly positive. A reporter asks who has been teaching Seiya Japanese. He smiles and replies “a girl dear to me”. Aika and Reo are shocked. Aika is stunned as the Internet comments go wild. Tsubasa notes he finally said it. Ruka can’t believe Tsubasa knew about this. The reporter asks what Seiya means. I confessed to her many times. But she couldn’t accept them seriously. Because I’m a child who can’t be relied on. Surely this feeling won’t ever be returned in my life. I thought it couldn’t be helped. I love you. I’m in love with you. I really, truly love you. I want you to look at me. I want you to at least acknowledge me….And if you can, I want you to love me. Don’t take me lightly because I’m a child. I…that will hurt from now on. Aika is embarrassed Seiya confessed in front of all these people. People comment on the Internet about how cute and cool Seiya is. Ruka agrees. The reporter asks Seiya if he plans on going out with this girl. Seiya smiles and says no. He’s fine with his love being unrequited. Besides, he wants to become a better idol, a more cool him. He reporter is silent, and Seiya worries he said something weird again. He starts going tsundere again before Yonezawa interrupts. The reporter wants to see that dazzling smile again. Aika also thinks it’s an expression she’s never seen before. The fans can’t help but have a good-natured laugh. The others discuss the conference. Reo still wants to know who Seiya is interested in. Ruka thinks it’s Aika because Aika looked good in the maid outfit. Reo agrees. Seiya then bursts in, asking if they saw his FIGHTING CHALLENGE. He’s still the same Seiya. Itsuki sarcastically compliments him. Seiya also declares Tsubasa better not take him lightly, and everything will be settled in three days (at the live). Seiya then turns to Aika. He wants to talk. In her room, Aika wonders what Seiya is going to say. Has he forgiven her? The two don’t know where to begin. He studied and practiced hard for the press conference. He’s still concerned about the ending, but Aika replies it was just because he smiled so brilliantly. He’s touched she watched so carefully. He tells Aika he really is childish, and of course she couldn’t like him under her circumstances. Aika protests, but then he wants to know what she means. She can’t put it into words. It’s fine, he says, his feelings won’t change. He’ll work to get Aika’s trust. She’s touched he called her name. He talks about how he’ll properly connect with others, and it’s all because of her. So please always watch over him as he becomes a GREAT SHOOTING STAR. She tells him he will sparkle more than anyone else. She also wants to shine more since this will probably be her last performance. Re;Rise waits for their revenge live to start. Seiya’s interview has two million hits, so his popularity is rising. Even Tsubasa compliments him. Seiya eventually says he’s finished apologizing to everyone for all the trouble. Instead, he’s going to work even harder than before for the sake of everyone who believes in him. He’s going to be the kind of idol who can return thanks to his fans. So he thanks Re;Rise. Having friends is truly fun. The others agree in their own unique way. Aika finally says he sparkles and is glad he’s a member. Re;Rise is just beginning, just like Ruka said. She thinks to herself she wants to support them. It’s time to begin the live. The audience cheers loudly. Re;Rise greets the crowd. A Seiya fan laughs and shouts they watched his interview, making him embarrassed. He announces (in Seiya speak) he’s going to sing his solo song with Aika. Nami is in the crowd, too. They perform his solo. Seiya says she really is COOL. Embarrassed by her praise, he blushes and says he’s gets captivated by her. Aika asks what he means, and he goes tsundere again. Saying his growth is thanks to her, he then apologizes to and thanks the crowd for their support. Aika thinks he’s not alone anymore and is loved by a lot of people. Yonezawa praises Re;Rise. Everyone is still jazzed. Aika notes the others have all changed. Then she gets a text from her brother; he’s waiting in the park. Aika leaves, making some of them confused. Aika thinks this is the end as she runs to the park. In her normal clothes, she meets her brother. He apologizes and says she has nothing to worry about anymore. She wants to know why he left. He replies he had a dream more important than being an idol — or even Re;Rise — to protect, so he borrowed her form. She’s never seen that smile before. Manaka can’t tell her anything yet. Perhaps when she’s an adult. As they discuss what to do next, Seiya appears. He notes that now he can see they’re completely different and how did he not tell. Manaka replies it’s because they never looked at him. Seiya agrees and apologizes to Manaka, but he won’t acknowledge anyone but Aika as Re;Rise’s leader. Seiya continues yelling before Aika tells him to stop. Manaka replies it’s the truth. He thought Aika could do something about these problematic idols because she knows what it means to be truly kind. Seiya understands; it’s because she’s strict and doesn’t spoil them. That’s why only Aika can be their leader. Aika protests she had to rely on a friend (Nami), but Manaka adds he had no one like that. 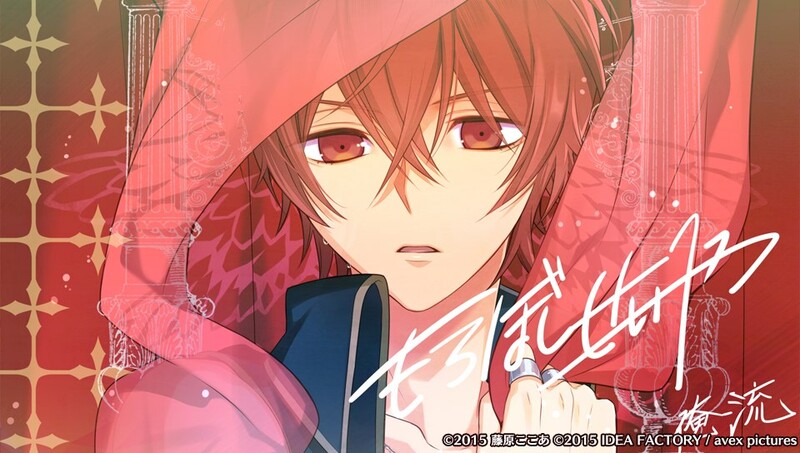 But he still liked Re;Rise’s songs, so he left them to Aika. And now the decision about “Amane Aika” is up to her. Aika protests, but he’s going to depart. They’ll talk more when she’s grown up. He notes she already has another guy to protect her. He entrusts Aika to Seiya. Seiya swears to become a cool adult. It’s been two weeks since the revenge live. She has to work hard now. Aika is going with Seiya to his song’s recording. She is shocked to learn he left alone and runs out the door. Ruka notes Seiya is really loved. Itsuki agrees, even if the two involved don’t realize it. Reo is confused. Seiya is surprised to see Aika at the recording station but says he wanted to play his guitar. She wouldn’t see the uncool side of him here. She protests that she likes to hear him play. Seiya whispers music is good but love is better. Aika wonders what he was referring to. He’s done composing. He wants Aika to always be the first to hear his music. He goes to record. Aika sighs. Yonezawa appears and asks what’s wrong. She replies he really does have a tough job. He’s confused; listening to music first or hearing such cute words isn’t a part of his job. He’s not Seiya’s lover, unlike the feelings Aika has. Aika objects, but Yonezawa doesn’t have a problem with it. Seiya comes back out, and she quickly drags him away in embarrassment. Seiya notices Aika’s face is red. Later that night, she keeps thinking about Yonezawa’s words. Later, it’s time for practice. Seiya is off for more Japanese lessons while Aika is set for singing lessons. After he leaves, she thinks about how stupid she is for worrying when Seiya is acting normal. Ruka comes in and notices her lonely expression. She insists she’s fine and is going to work hard as an idol. The two haven’t been able to spend time together since their schedules conflict. To celebrate the success of the revenge live, they’re going to the cafe. It’s the first time in a while that Aika and Seiya are going to be working together. Unfortunately, even at the cafe, they can’t find time to talk. The others notice. She remembers all the times Seiya smiled at her, wanting to be with her. She wonders how he sees her now. The other members eventually set up a chance for Seiya and Aika to be alone. Aika and Seiya are mostly silent. Seiya eventually whispers he’s been lonely, but he adds his negative feelings have been blown away now that she’s here. He loves spending time with her because he loves her. He hopes she can one day love the cool adult him. Aika suddenly blurts out why does it have to be someday? Why did he decide they aren’t going to go out? He’s already a cool guy! There’s no way she couldn’t love him! He can’t believe it. But he’s so cute she can’t help it. “Cute?! Me?! You’re the cute one, idiot!” Aika finally confesses her true feelings. “Then…go out with me!” He talks about how he wants to become her number one, but he already is. Then he mentions he’s been working on a song for her to sing. The lyrics will surely make her fall in love more. In girl’s clothes, Aika notes there’s only three days left until the revenge live. She gave Seiya her phone number, but there’s no way she can meet with Seiya again once she goes back to being a normal girl. Her phone rings. Seiya wants her to come out for a bit. Aika worries about Seiya missing work. He’s like, “What are you, my mother? !” and then is happy he got to say that line. But he’s heard about Aika quitting and doesn’t want her to go. Although she can’t continue, she won’t forget them and will support them. He’s a little sad he’s on the same level as Re;Rise. She agrees to go to places with him. Yonezawa then calls Seiya with news he has a column now. As Seiya runs off, he comes back just to tell her she looks cute. Aika notes he’s moving forward now. She’ll support him, but that’s all she can do. The next day, Seiya invites her to the idol cafe. She doesn’t want to go in and see Ruka and the others, but Seiya stops her. Fans then spot Seiya. He can’t leave, so he indirectly asks Aika to “check out” Itsuki’s radio show. Aika shows up to the recording and can hear Itsuki’s voice. The way Itsuki is flirting makes Aika believe he knows she’s here. Seiya, embarrassed, mumbles he only wants to kiss one person. At home, Aika is a little sullen. She receives a call from Seiya. He didn’t see her and heard she came from Itsuki. He invites her to an amusement park. Aika is looking forward to it, and Seiya is very excited. On the promised day, Aika wonders if this could be considered a date. As she’s waiting, Seiya calls and cancels due to work. She tries to hide her disappointment. She looks at his column and is impressed. She finds a text from him. Althought she wants to be happy for him, she can’t help but feeling like just a fan. But should a fan feel like this? Meanwhile, Seiya asks Re;Rise for advice. Meanwhile, Nami is amazed Aika hasn’t heard from Seiya recently. Aika says it can’t be helped, they live in different worlds. Nami asks why Aika doesn’t have confidence in herself. Aika should contact Seiya, but how does she view him? Aika is unsure. Then they spot Seiya with an unknown woman. The woman spots Nami and Aika, and she and Seiya leave. Aika gets a text from Seiya wanting her not to ask any questions. She wonders if he’s going to leave her like her brother. Nami wants to catch them and demand answers, but Aika stops her. Aika feels like crying because she loves him. She wants to be special to him. Nami advises Aika to tell him. Aika cried herself to sleep but wants to take Nami’s advice. Seiya calls her first to invite her to a concert. He begs her to come. She has something she wants to talk about and will buy her own ticket. She can’t go on lying to him. Aika waits with the other fans for Seiya to come onstage. The host announces Seiya has a big confession. He says he’s a “PRISONER OF LOVE”. He plays and then asks if Aika heard it. He loves her and will sing for her. His confession continues like a poem or lyrics from a song. He’s no good without her. He leaves the stage and approaches Aika. He’ll protect her, so please go out with him. Boy, girl, alien, whatever, he loves her. The woman from the park is the host who helped with the arrangements. In his usual puppy-dog nagging way, he asks her again to go out with him. Tsubasa and the others suggested he confess this way so she couldn’t refuse. Aika then admits she loves him, too. He’s so happy he starts crying. Nami is there and is happy for Aika. Dressed as a girl, Aika hears snoring and visits Seiya’s room. Itsuki told her Seiya has been worried about something. He confesses his blog is overrun with comments again. His blog has been turned into Re;Rise’s official blog. He’s still making his posts as well as uploading videoes of him visiting the others’ workplaces. He’s unsure about all the comments, but Aika says they’re words of support (probably). And even if they’re not all praising him, then he can use those words to be even better. She wants to see Re;Rise get along even more. This is all thanks to her, he says. He then adds he loves her and wants to hold her hand. He talks about how she needs to stay with them and then kisses her hand. He loves her more than anyone else. Seiya invited Aika to the park for a date. She wants him to have happy memories, unlike in New York. Seiya appears and says sorry for being late. He’s a little disappointed they didn’t get to do the “sorry I’m late” “no, I just go here” scene from manga (with a snowman). So they try again. They walk around and look at the flowers. Aika tells Seiya she’s happy when he’s happy. 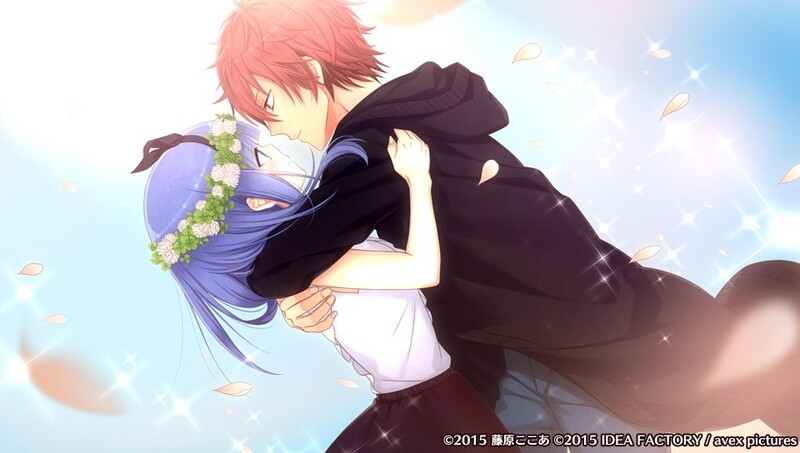 He blushes then gives her a flower crown he made. But he wants a promise in return: that she’ll always love him. He puts it on her. He always wants to be by her side through thick and thin. So he wants to convey his feelings through a kiss. They kiss. Seiya will not hand her over to anyone. He’ll make her fall in love with him even more. Aika murmurs she’s plenty in love already. She’s so embarrassed she can’t repeat herself. He adds although she looks cute normally, she looks EXCELLENT in girl’s clothes. She gets flustered again, but he wants her to look his way. Seiya apologizes for not doing well, but he can’t handle this being the last time they sing together. At the very least, be with him until the end of the live. Aika thanks him, and everything up to the end of the Manaka scene continues as normal. Aika looks at the stage and thinks about how much has changed in these past few months. She doesn’t know what to do. Seiya appears. He apologizes for not being able to do much about her brother or the situation, but he’s glad he met her. He’s changed because of her, but she said it was his own power. He knows his feelings got in her way, so he’s giving up. Cheerfully, he says he’s going to be an even cooler guy for her to fall in love with. He wants her to stay on as their leader and just be groupmates. “….Sorry for falling in love with you.” He dashes off. Aika doesn’t know how to react. To himself, Seiya whispers he still loves her.